Fiona’s daughter Brogan collecting the iPad Mini on her behalf. 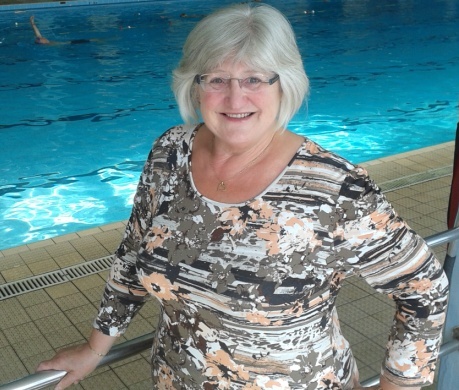 Fiona Fraser – won’t let Fibromyalgia beat her. 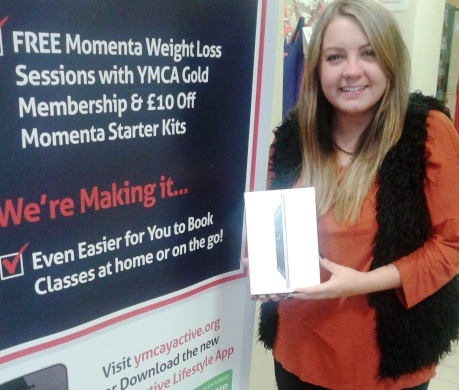 A YMCA member of 4 years, Fiona Fraser of Thornton Cleveleys was over the moon when she found out she was the winner of our iPad Mini! Fiona was picked at random having entered our competition during the summer as part of the pre-launch campaign for YMCA’s new App and digital class bookings facilities. Unfortunately Fiona could not attend to pick up her prize herself and daughter Brogan gladly accepted on her behalf. Over the years Joy Peters had fallen into the yo-yo diet trap, losing weight for a couple of months and then putting it all back on.